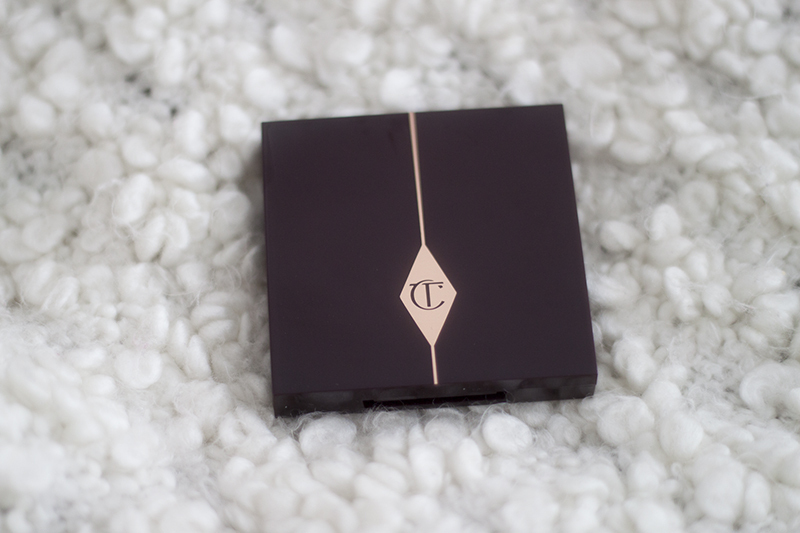 I was thrilled when the Charlotte Tilbury makeup collection launched. She is one of my favourite makeup artists and has Brit chic thing down to a tee. The Colour Coded Palettes was an item that I was immediately interested in. Each palette has its own "Iconic" look associated with the four shades. So in theory there should be one suitable for every girl, From The Uptown Girl to The Golden Goddess. 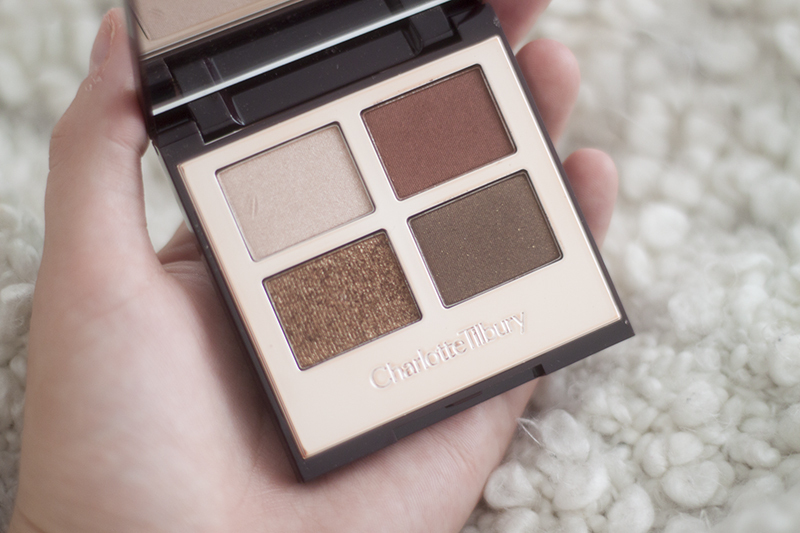 Within the range, there were few palettes that would suit my look and skintone but the one that caught my eye was the Charlotte Tilbury The Dolce Vita Palette. 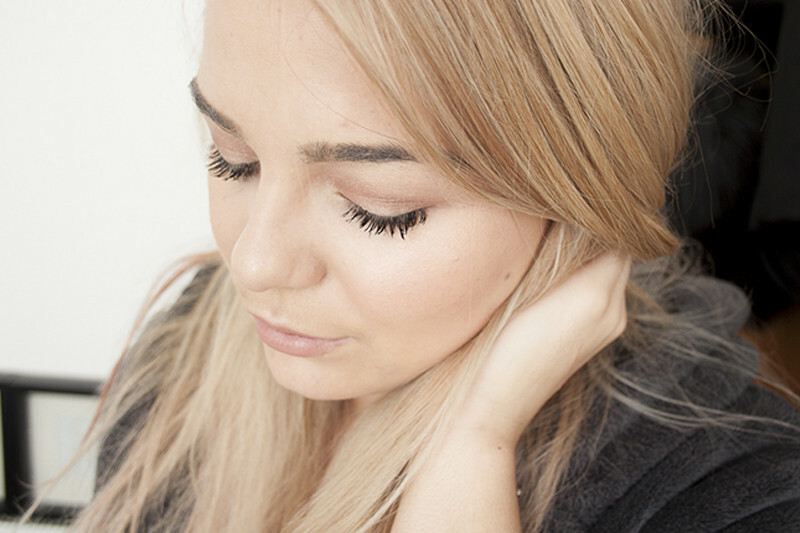 Charlotte describes the Dolce Vita look as "Killer curves, luxe perfume and a sultry smoky eye. You embrace your femininity to conquer the world". That's a look that I could buy into even if it sounds a little more than my usual! This palette is a quartet of stunning warm toned browns, golds and shimmers. They are all powder based eyeshadows but are so creamy, butter soft they almost don't feel like they aren't powder. I found them to be especially pigmented even without a primer. Each shade applied evenly over the lid with minimal fallout (although the glitter needs to be patted onto the lid, but less than I imagined). The Colour Coded Palettes are colour coded (clue is in the name eh?) and contain a Prime, Enhance, Smoke and Pop shade. This is so you have a rough idea of where each shadow goes when layering them up. The Prime shade is a brightening satin champagne, Enhance is more of a reddish/brown satin finish. The Pop shade is a stunning copper with lots glitter. And finally the Smoke shade is more of a dark brown matte brown. 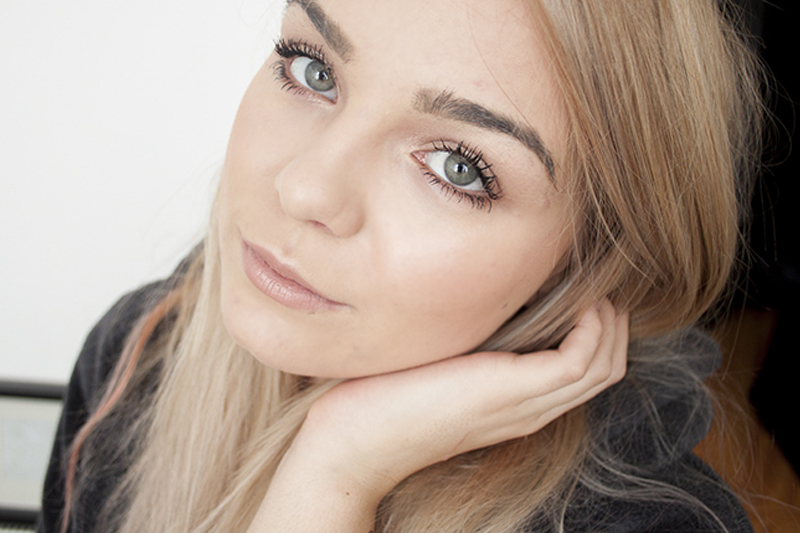 The Dolce Vita look Charlotte talks about on her website (she has video tutorials of how to use all her products!) is a little too much for my everyday look, but I think I toned it down for a bit more of a day look. To do this I used Prime all over the lid, then using Enchance in the crease and running it along the lower lash line to define the eyes. If I wanted I could have added a little of Pop and Smoke, just to add drama to the look and take it from day to night. The price is super premium, I'd never usually shell out so much for one single palette. Particularly one with so few shades contained within it. However I cant fault them, They are a dream to use, high quality, and I love how they can create so many different looks. They are right up there price wise with the Tom Ford Makeup line which I think this palette really reminds me of. I've not tried them so I cant compare though! Overall I think its dupable in terms of shades, but I think the quality of this palette is something else. Definitely a luxury item, but so worth it.